“Thank you for giving me this lovely vacuum.” Said no one ever. Now imagine how awesome you would be with the gift of professional house cleaning! Giving more free time back to your loved ones this holiday season will definitely put you on the “Nice” list. Or perhaps you think you’re the more deserving recipient of such a thoughtful present. Don’t worry, we won’t tell. 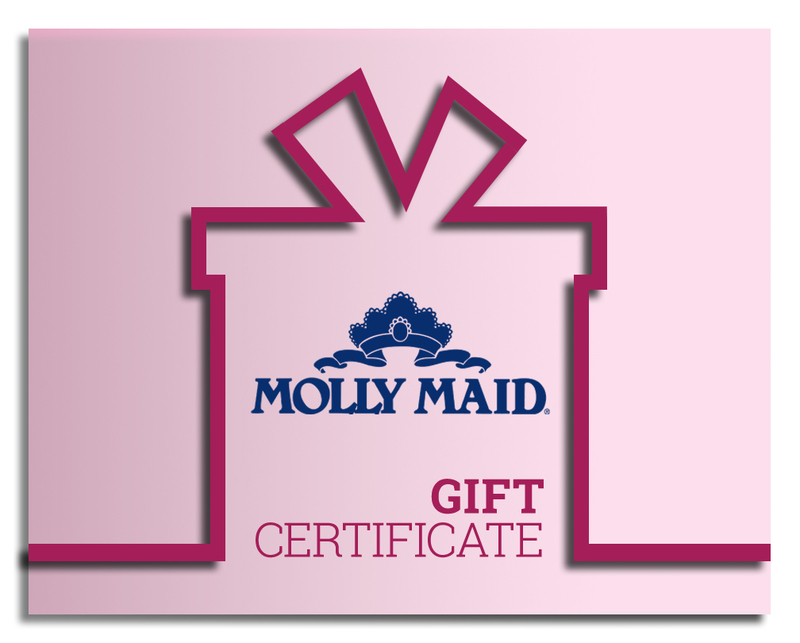 Either way, we’re giving away fifteen (15) $150 Molly Maid gift certificates for the holidays. To enter, visit the national Molly Maid Facebook sweepstakes page, like us and fill out the form. Share your entry to encourage your friends to win and give the prize to you. Winners will be chosen on December 15, 2015. Molly Maid gift certificates rock! They are good at any of our 400+ locations in the U.S., never expire, and can be emailed instantly. Forget the post office. (Of course, you could print and mail them too if that’s your thing.) If you’d like to purchase a gift certificate, they are available online or in local offices.